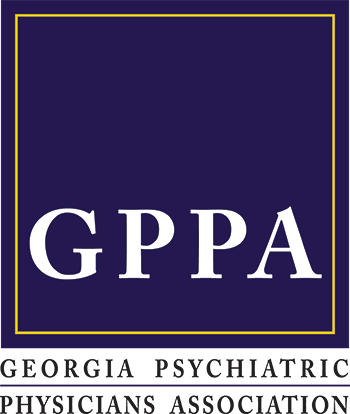 The Georgia Psychiatric Physicians Association Foundation is a 501(c)3 charitable foundation. Through the financial support of donors, the Foundation sponsors public education, professional education, and research in the area of psychiatry and mental health. To increase public awareness of the signs and symptoms of mental illness, the availability and methods of treatment, and the sources of assistance for persons with mental illness. To enhance the quality of assistance to the psychiatric patient, particularly by improving access to care, improving conditions in hospitals, mental health centers and other facilities, and changing perceptions of mental illness to increase the understanding of treatment and cure. To support research to improve psychiatric care. To remove any stigma of mental illness which may inhibit or prevent proper care, through educational and public service activities. To serve as a clearinghouse for information about all aspects of psychiatry, and as a bridge between psychiatric medicine and the community served by the Foundation. The Foundation encourages and sponsors educational programs to increase the public’s awareness and knowledge of mental illnesses and the effective forms of treatment available today. The foundation supports educational efforts aimed at employers, the media, and family members of people with mental illness to encourage a better understanding of the illnesses and treatment. The Foundation also supports efforts to remove barriers to access to psychiatric care, including discriminatory practices of health insurance policies toward mental illnesses. Above all, the Foundation will promote educational programs that emphasize that psychiatric illnesses are medical illnesses, not personal weaknesses, which are treatable with a high rate of successful outcomes. These efforts will address the misunderstanding about psychiatric illnesses that has promulgated the stigma associated with the illnesses. Quality medical care depends on good medical education, both in training and beyond. This is especially true in psychiatry, where education is needed to keep abreast of the tremendous progress that has been made in the diagnosis and treatment of mental illness and in the changing healthcare delivery system. For these reasons, the Foundation develops and funds projects designed to improve and enrich professional education. Professional education will primarily by addressed to psychiatric physicians, non-psychiatric physicians, and mental health allied professionals. To further encourage improvements in the treatment of mental illness, the Foundation funds research grants in medical schools and universities. Or, the Foundation may choose to support broad research programs by funding scholarships, fellowships, or professorships. The Foundation does not engage in research activities of its own. These important projects can only be supported with your generosity. Make a direct contribution, memorial gift, or corporate gift -- every donation matters! The Georgia Psychiatric Physicians Association Foundation is 501(c)3 charitable foundation. The Foundation's Tax ID is 58-2198322. Organizations and individuals seeking support for projects and programs that are aligned with the Foundation's mission should contact us directly. Dr. Skobba dedicated himself, his intellect, his teaching skills and his assets to advocate for resident research and education. Upon his wife’s death in 1967 he established the Hope Skobba Memorial Resident Research Awards to honor an outstanding resident with a monetary reward for excellence in research. At the 2019 Winter CME Meeting, GPPA recognized 3 residents as we have done for over 50 years. Member of APA Ethics Ctte in 1978 when The Principles of Medical Ethics With Annotations Especially Applicable to Psychiatry were approved. Author of many articles about psychiatric illness and care in the military. Prolific writer on that topic and served on many commissions etc. Pioneer in treatment of psychiatric conditions in the military.